Disclosure: I received this product in order to facilitate the review, however, opinions are 100% my own. Hello friends, before we begin, let me tell you that I have an iPad, not an iPad Air which meant that I didn’t thoroughly read all the requirements before signing up for the campaign. However, just because it didn’t fit my iPad perfectly, it did work perfectly with my iPad. So now that is out of the way, let’s get on with the review of this NEW INVENTION by Sleek Tech! I really wanted to try the Sleekeys Keyboard by Sleek Tech because as a “boomer” I still love the feel of a qwerty keyboard especially if it has large keys, and this one definitely did not disappoint. 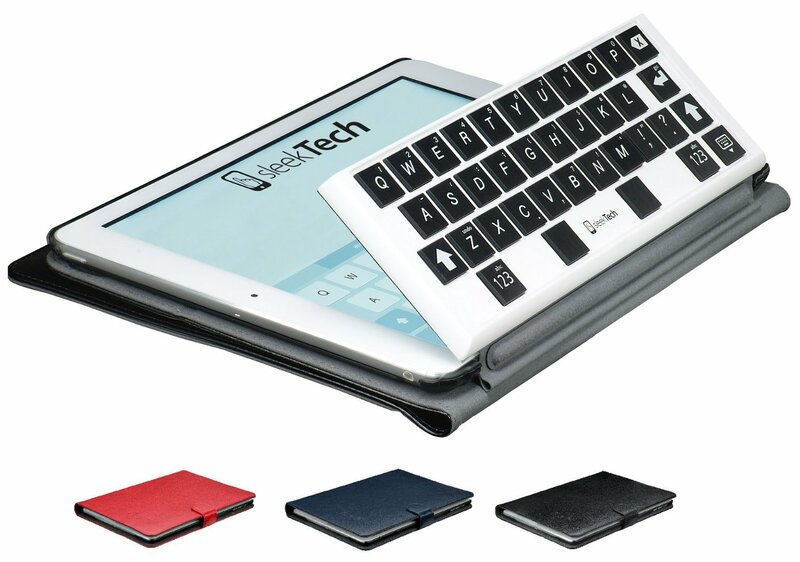 This keyboard is awesome because it does not require batteries, an electrical cord or even a Bluetooth setting. It’s ¼ inch and only weighs 3.5 oz which is great because the last thing I need is to add more heavy gadgets into my already overloaded tote bag. 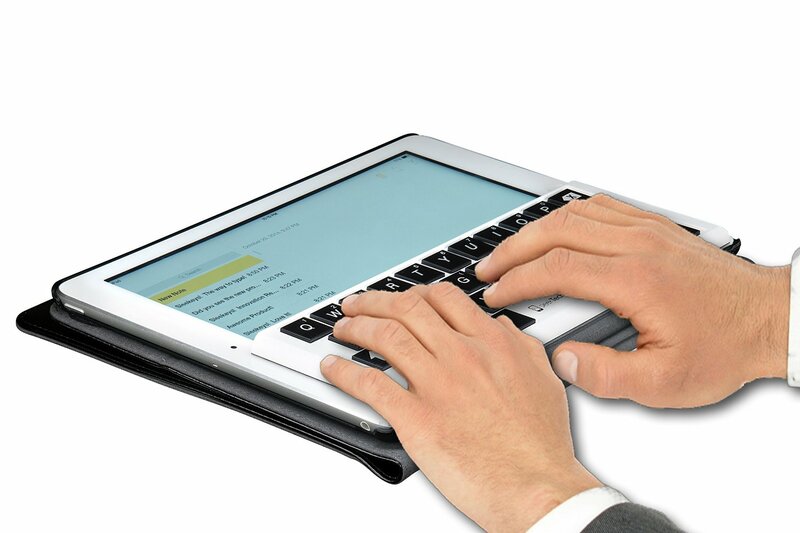 The magnets keeps the keyboard perfectly aligned so that your wrists can be placed at a comfortable angle. 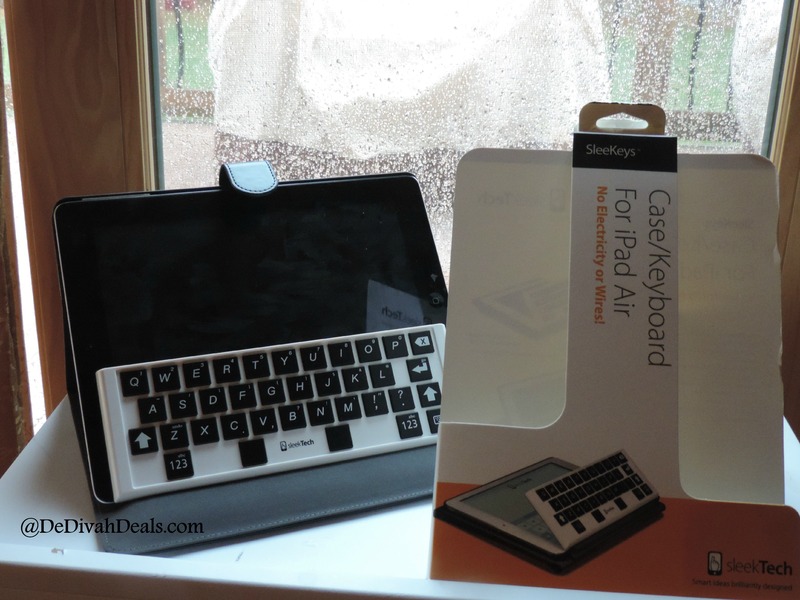 A soggy Sunday made for a perfect day to test out the SleeKeys Keyboard and with 2 stand positions I was able to work lounging on the sofa or at the kitchen table with ease. 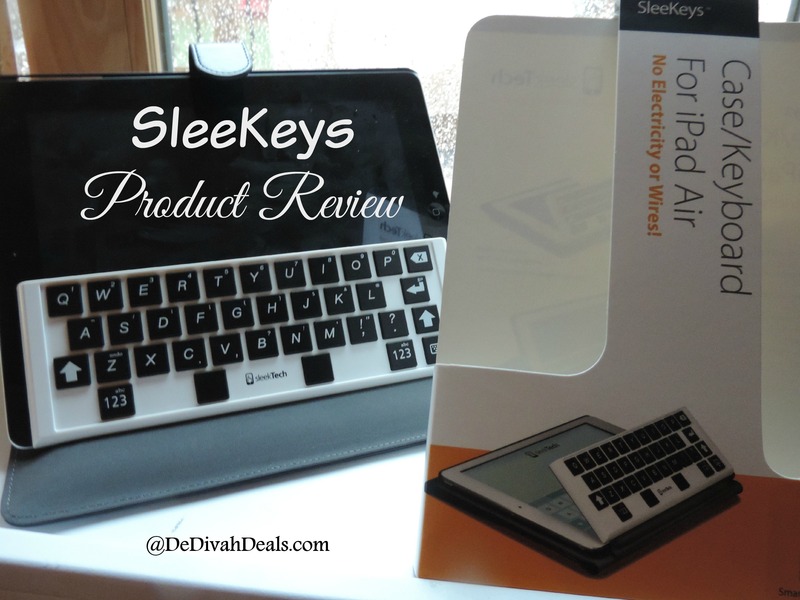 If you are looking for an keyboard attachment for your iPad Air, iPad Air 1 or iPad 5 go to Amazon.com and check out the SleeKeys Case/Keyboard because it’s great for working at home or on-the-go. Thanks to my friends over at Sleek Tech they have offered to giveaway a SleeKeys Case/Keyboard to one of my lucky readers. Hurry up and enter for a chance to win because the contest ends on 2/1/15 (US residents only). Check out the other available colors at SleekTech and let me know which one is your favorite.